So honored to receive this "Free China" Daylily cultivated, named and sent by Guiru Zhang. 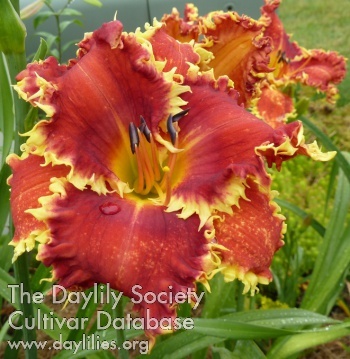 This flower is officially recognized by The American Hemerocallis Society, Inc. (AHS) . And this is the "Free China" page on its website. Guiru named this daylily after the documentary "Free China: The Courage to Believe"(http://freechina.ntdtv.org) in which my story was featured. Just planted it in my garden. Hope it will flourish & blossom soon.